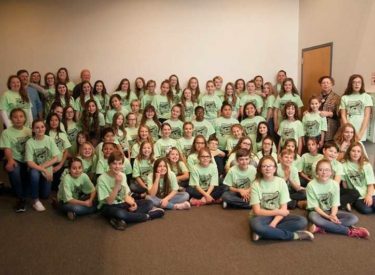 Ponca City Public School Honor Choirs in grades 4th through 8th recently performed at “Circle the State With Song” Region C Choral Festival held at the Stillwater High School Performing Arts Center. Ponca City music teachers involved were Nancy Taylor (Union), Sarah Orr (Liberty), Breanna Allison (McCord), Chad Keilman (East), and Michael Farmer (West). The “Circle the State With Song” Choral Festival is sponsored by Oklahoma Music Educators Association and is an opportunity for exceptional music students to work with guest choral clinicians on challenging music with other students from across the region.